Posting will be irregular over the next few days, while we’re traveling. 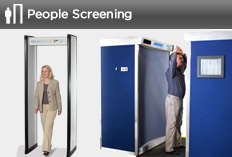 But speaking of traveling, I had an unhappy encounter this morning with the Rapiscan body scanner at SeaTac. Not that i can imagine a happy encounter. We got up at 4:00 am, left home at 5:15, and got on the SeaTac security line a little before 6:00. Looking ahead, I could see that the scanners weren’t yet in use, though we were subjected to a lecture on a video screen about how harmless they are, what to do when we enter them, how the person who sees the images doesn’t see you, etc. We chose a short line, but it wasn’t moving at all. 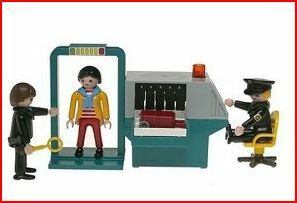 Then, when it did move, the person studying the images from the bag scanner was calling for a bag check with every other passenger. I don’t know what the deal was. They seemed to be practicing heightened security procedures. When Gail and I got to the conveyor belt, she put herself through and headed to the scanning devices, where she was led to the usual scanner, like everyone else. I put my stuff on the belt, but it wasn’t moving. I waited. Thirty seconds later, it still wasn’t moving, at which point a TSA woman happened to move the little barrier that was blocking the body scanner. I knew what that meant. Sure enough, when the conveyor belt came to life and sucked in my bins and bag, the woman sent me to the scanner, as the first scannee of the day. I really want to opt out. I don’t believe the claims that the scanners are safe. I know they are utterly useless. And I know the main reason they are used is because Rapiscan has close ties to the federal government and so got a big contract after the undie-bomber scare. On the other hand, opting out can lead to oral abuse, unreasonable delays, missing your flight, … . Better just to keep your mouth shut and do it, or so I have decided. Stand in there. Do you have anything on you? Yes, my wallet. Hand it over. Raise arms. Stand for 10 seconds. Go out. Wait for approval to leave. But this time two new things occurred: (i) I had the tightest patdown of my life. I thought the whole point of opting in is that I won’t be frisked. But this guy, without warning or explanation, rubbed down the front of my body from neck to waist in about 8 or 9 strokes, working from one side to the other. I understand he’s checking for explosives, but I thought that’s what the scanner does, seeing if I have bulges. Or maybe the point is that I do have bulges, as revealed by the machine, so he had to verify that the bulges were really me, not explosives. If so, he could have told me. Meanwhile, and this is (ii), they had taken my wallet away to put through the bag scanner. Are you serious? And again, they didn’t tell me they were doing this. They only told me after the fact. The last time I was body scanned, the TSA agent opened my wallet and felt in it but didn’t scan it. There can’t possibly be a point to this, other than to piss everyone off, except the handful who are under the illusion that this is what keeps us safe. Well, I could give references and links to buttress my case, but I’ve been up since 4:00 am and I’m too tired. So I’ll leave it at that. As for Gail, when I was done with all this, I discovered that she was still being investigated. She had dutifully put her liquids in a 1-quart bag and put it on the conveyor belt in a separate bin. But apparently the TSA scanner decided there might be more liquids. Bag Check! She was pulled aside, her carry-on was emptied while she stood a few feet away, various other bags were pulled out and studied, then the bag was put through the scanner again. Here we are, safe and sound in New York, with two more security theater encounters to look forward to in the coming days.